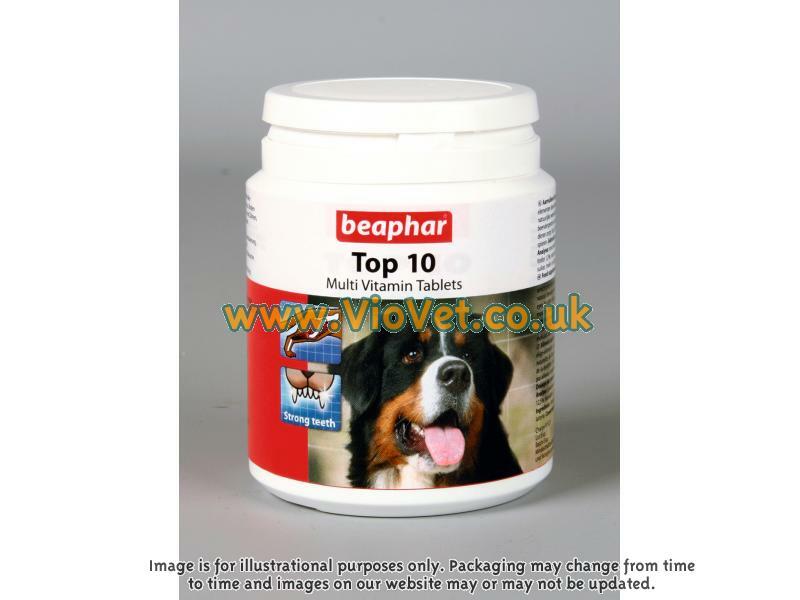 Beaphar Top 10 Vitamins are a quality food supplement specially developed to complement your dog or cat's diet. Top 10 contains the essential vitamins, minerals and trace elements that encourage vitality and improve your pet's physical condition. Top 10 also contains essential nutrients which promote optimal and natural development of the bones and teeth of kittens and puppies. 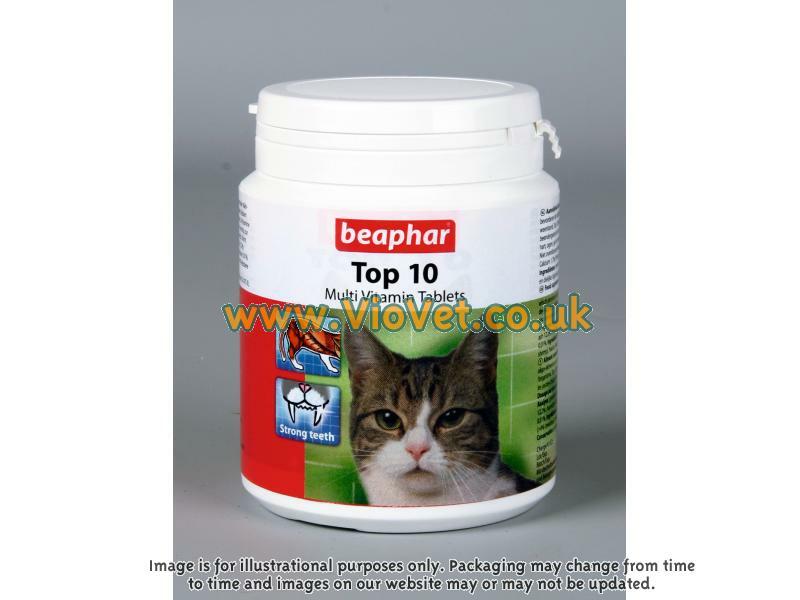 Ensuring a glossy coat, superb shine and bright, clear eyes, Top 10 Tablets by Beaphar are an excellent way to boost your pet's nutritional intake without increasing the calories. Top 10 Cat Supplement Contains taurine, an essential amino acid for cats and required to prevent heart and eye defects from developing. Taurine can be supplied in the diet from meat and especially from sea food. It is absent from plants. It is also partly destroyed by cooking, so a supplement is beneficial for cats which are not on a good quality, complete diet. Top 10 Dog Supplement In older dogs, Top 10 helps keep pets lively and agile. Top 10 also contains L- Carnitine that has shown in trials to help promote and sustain strong muscles. Below are some recent questions we've received regarding Beaphar Top 10 Vitamins, including answers from our team. Vitamin A 9560 IE/UI/IU; Vitamin D3 1910 IE/UI/IU; Vitamin E 620 IE/UI/IU; Vitamin B1 370 mg; Vitamin B2 770 mg; Vitamin B6 350 mg; Vitamin B12 3200 £g; Pantotheenzuur/Acide pantothenique/ Pantothenic Acid 2100 mg; Niacine/ Niacin 3000 mg; Biotine/ Biotin 80000 ug; L-Carnitine Chloride 17 mg, E2 (Jodium, Iodine, Iode) 1,17 mg, E5 (Mangaan, Manganese, Mangan£se) 5,62 mg.